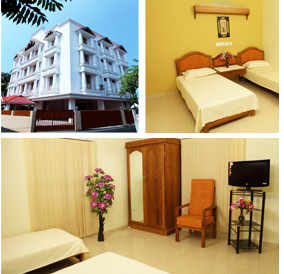 Stay in luxury, comfort, and convenience at Orient Glory when you come to God’s own country. Its fully furnished apartments are designed to give you the same freedom and privacy of a home. These apartments contain all the modern amenities of a restaurant and the comforts of a home without the hassles of either. The apartments are an excellent choice for an extended stay for executives and tourists, NRI families on a visit to Kerala, visitors to medical centres and corporate guest houses. Orient Glory Holidays offer three service apartments to its guests. Marine Drive is situated at the culminating point of the lake and the sea. The view of the setting and rising sun over the sea mouth and the gentle breeze from the Vembanad Lake has made Marine Drive an important tourist destination. Orient Glory apartment at Edapally is at a driving distance of 25 km from Cochin international airport and is located 5 km away from the internationally known Amritha Institute of Medical Sciences. These apartments are fully furnished, air-conditioned and having a modern fully equipped kitchen besides parking area, internet facility etc. Ayursoukhyam Ayurvedic Resort located in the scenic environs of Athirappilly, is in complete harmony with nature and a place of total relaxation. Tourists can get a feeling of ecstasy here experiencing the raw, unexplored and untouched nature. 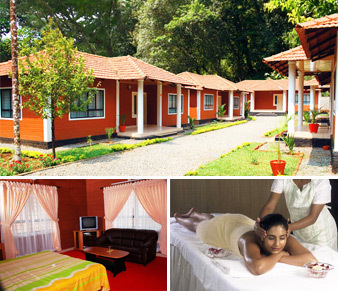 The delightful ambience within and in the surroundings is soothing, comfortable and refreshing. The cottages are designed in ethnic styles. It takes one’s memories back to an indigenous sound and pollution-free village concept where there is the supreme rule of simplicity and harmony. The climate is a temperate one. It stands out from other hill resorts. These 2-bedroom ayurvedic cottages are furnished with treatment rooms offering assorted packages, yoga/meditation centre etc and are surrounded by a herbal garden, jogging track and other health benefits.